Slope has five—count 'em, five—faces. Students shouldn’t focus on just one or two, and in this session, neither will we! 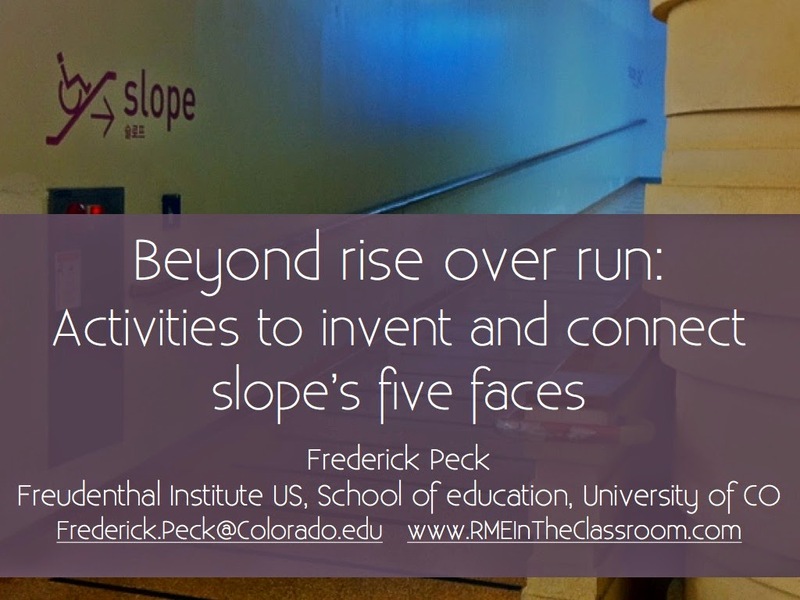 Instead, we'll explore realistic and meaningful activities and a learning progression designed to help students invent and make connections between all of slope’s five faces. Below are links to the handout for the session, a research paper that describes the approach in more detail, and a link to the complete unit for teachers and others to use. Please download, modify, and use the tasks with your students! 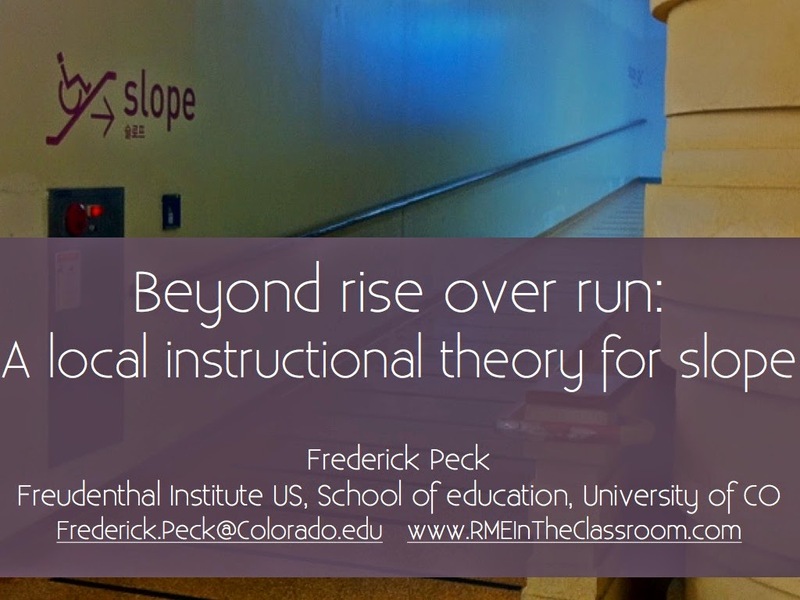 NCTM 2014: Beyond rise over run! Again, similar titles to my previous presentations, but again, a lot has changed in my thinking around our study of slope in 2012. At NCTM 2014, I presented the updates in a research talk and a gallery workshop for teachers. Here are all of the resources for those presentations, as well as a link to the complete unit for teachers and others to use. Please download, modify, and use the tasks with your students! I present a local instructional theory for slope that emerged during a design experiment in a high-school Algebra I classroom. In the design experiment, students explored situations related to making predictions. As students engaged with these situations, they reinvented and made-meaningful multiple sub-constructs of slope. I show that this process involved the assemblage and coordination of mathematical artifacts, and I introduce the notion of a cascade of artifacts to describe this process. I suggest that artifacts are inextricably bound with activity, and I discuss the nature of the classroom activities that promoted the development of the cascade of artifacts.